Loyalty is one of the most abused words in the vocabulary of the Nigerian political class. The impression of loyalty is not just conveyed by repetitions of “I am loyal,” it is also conveyed in adulations in newspaper advertorials and sometimes in dressing. Governor Abdullahi Ganduje of Kano State was an example of such who used dressing to confess loyalty to Senator Rabiu Kwankwanso with the wearing of the red cap that is signature dressing for the Kwankwansiya group. That was until he became governor after nearly 16 years of trudging along with Kwankwanso. Another mentor-mentee relationship that was showcased by dressing was the relationship between Governor Rochas Okorocha of Imo State and Prince Eze Madumere, the embattled deputy governor of the state. Madumere was hardly seen without the muffler that was signature dressing for Okorocha. 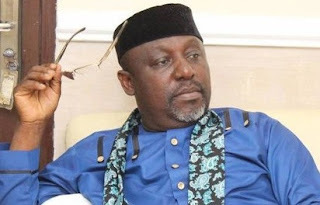 However, once Okorocha announced that his son-in-law, Uche Nwosu would succeed him, Madumere stopped wearing the muffler. Many political leaders in the bid to sustain the hold they have on their followers even go to the extent of compelling them to swear to oaths. One former governor and another notorious political godfather both from the Southeast were reported examples of those who used such rituals to bind their followers to themselves. To the disgrace of the devil, not even the oaths administered to their followers were able to stop the rebellions when push came to shove. It is in the face of such duplicitous acts of servitude that the relationship between Mallam Bolaji Abdullahi and Senator Bukola Saraki comes into play. When Abdullahi last Wednesday made his public declaration to become governor of Kwara State his acknowledgment of Saraki’s influence on his political career was indeed, humbling. Abdullahi, former deputy editor of Thisday had served in Saraki’s government from 2003 to 2011. Subsequently, through his patronage, he was appointed minister and lately, National Publicity Secretary of the All Progressives Congress, APC. Last Wednesday, Abdullahi confessed that he was not picked by Saraki because of any special parental grace. He rather confessed that he was the son of a farmer and a tailor who hawked fufu with his sister on the streets of Ilorin! His intellect underscored by an Upper Class degree and his erudite writings on the back page of Thisday made way for him. Given the travails that Saraki had received from his political traducers since the advent of the present administration, it would have been tempting for Abdullahi to have walked away from Saraki’s circle. But when loyalty called, Abdullahi opted for sincere loyalty that is not shown by dressing or other acts of sycophancy. When Saraki moved from the APC to the Peoples Democratic Party, PDP, last July and Abdullahi became an outcast among his colleagues in the National Working Committee, NWC of the APC, it became imperative for Abdullahi to take a walk. His decision to resign from the plum job of spokesman of the ruling party to join the opposition was an act of sacrifice that is rare among Nigeria’s political actors. He could have remained and put Saraki behind him, but he didn’t. His resignation as ruling party spokesman was, however, not the first time that Abdullahi’s loyalty to Saraki would cost him a plum job. Abdullahi as minister of sports is remembered for truly professionalizing the league with the setting up of the League Management Company among many other feats. It was under him that Stephen Keshi led Nigeria to win AFCON in South Africa in 2013, the country won the U-17 soccer trophy and Nigeria returned to the medals table in the IAAF championships after a 14-year absence. His loyalty to Saraki was, however, an uncomfortable issue for the Jonathan crowd. After Saraki left the PDP for the APC, arrangements had been concluded to announce his dismissal after one cabinet session, but that day unwittingly fell on the day he was to present one of the country’s winning sports teams to the president. To the irritation of the Saraki haters, he was retained. However, his local enemies had him on the spot at a PDP rally on March 3, 2014, where Saraki’s local enemies took to the stage to denounce Saraki. Abdullahi, however, refused to take the bait, he stoutly resisted the entreaties and cajoling to abuse Saraki. That was the final insult that the Jonathan cabal would stomach and as they returned to Abuja the following day, Abdullahi was exited from the cabinet. Some accounts had it that Jonathan was not even given a choice by the cabal. It is as such no surprise that the distinguished first-class journalist, son of a farmer and tailor is called Omoluabi, a well brought up child! That indeed, is loyalty! More politicians like Saraki, who look beyond sentiments to pick the children of farmers and tailors to high office are indeed, needed in the polity!